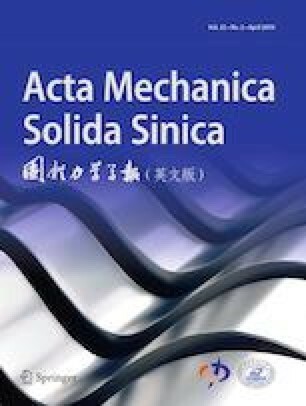 Soft materials with semi-linear strain energy function can be used as smart transformation media to manipulate elastic waves via finite pre-deformation. However, the intrinsic constraints involved in such materials limit the shapes of transformation devices to very simple cases. In this work, combining theoretical and numerical analyses, we report an approach of achieving the in-plane elastodynamic cloak with arbitrary shape. We demonstrate that with the appropriate out-of-plane stretch applied on the semi-linear material, cloaking effect can be achieved for both P- and SV-waves in the symmetric plane of a 3D domain, and the performance of the cloak with arbitrary cross section can be guaranteed for relatively small in-plane rotation. In addition, we propose an empirical formula to predict the deformation limit of the cloaks with semi-linear materials. This work may stimulate the experimental research on soft-matter-based transformation devices. Potential applications can be anticipated in nondestructive testing, structure impact protection, biomedical imaging and soft robotics. The authors are grateful to Dr. Yi Chen for valuable discussions. This work was supported by the National Natural Science Foundation of China (Grant Nos. 11472044, 11521062, 11602294, 11632003) and the Chinese Universities Scientific Fund (Grant No. 2019TC134).